The swim classification of individuals participating in water activities is a key element of the BSA’s Safe Swim Defense and Safety Afloat. 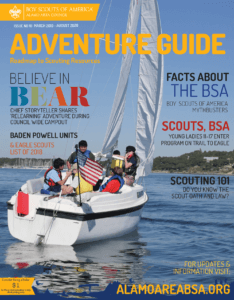 Swim classification tests (swim checks) should be renewed annually at the beginning of the outdoor season and are required for any Scout attending Scouts BSA Summer Camp, Webelos Outdoor Adventure Camp and any swim activity at Day Camp. The Alamo Area Council offers swim lessons to Scouts (ages 6+) as well as swim checks. Come by to take your swim check at the hour you sign up for. 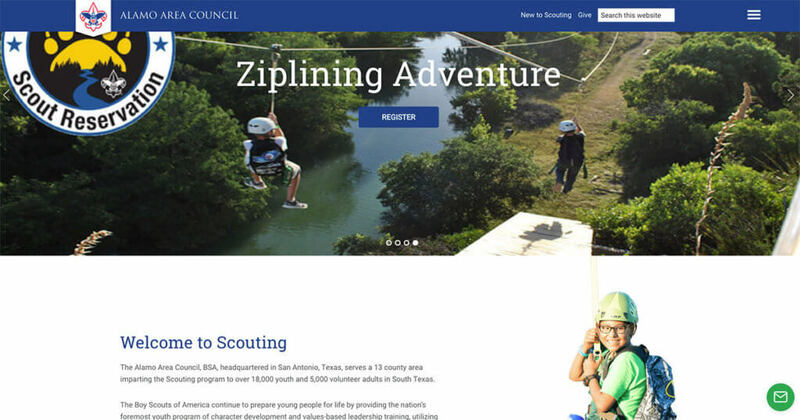 What do you need to know about the premier camp of the Alamo Area Council of the Boy Scouts of America? Our Ranger Program is designed for first year campers and teaches basic skills while allowing the camper to get off and running on the requirements for Tenderfoot, Second Class and First Class ranks. 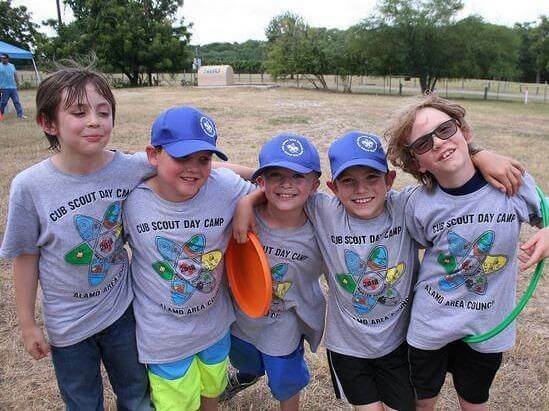 Our offered Merit Badges cover aquatics, ecology, field sports, handicrafts, and Scout skills. Some preparation is recommended and best done before camp to ensure the ability to complete certain merit badges. Bear Creek is famous for challenging programs for older Scouts. The C.O.P.E. course is a well-rounded, fun program with low and high element activities (confidence building and group dynamic team challenges). 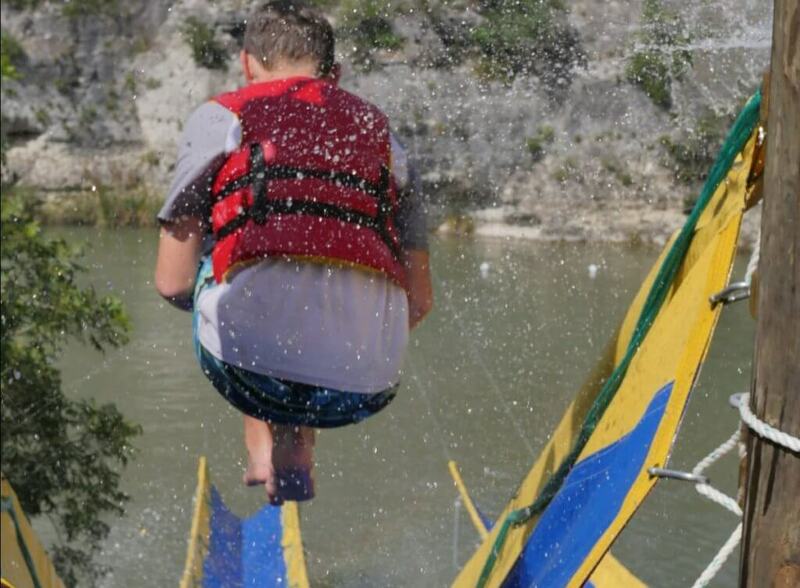 Also available are mountain biking, rappelling, rock climbing, black powder rifle and canoeing on the Guadalupe River. An additional fee will be charged for some of these programs. Our goal is to make your visit an educational and memorable experience your troop will never forget. We have made some amazing updates and additions that include dual Zip Line, BMX, Scoutmaster Lounge, Water Slides, Water Trampoline, Paddle Boards, and expanded ranges, including our new “Cowboy Action” pistol and long rifle range. For more information or help with your Summer Camp registration, please contact the Bear Creek Summer Camp team by email at BearCreek@AlamoAreaBSA.org. Every April, downtown San Antonio becomes the site of a citywide celebration – the Battle of Flowers® Parade. Since 1891, the women volunteer members of the Battle of Flowers® Association have produced a parade to honor the fallen heroes of the Alamo and to commemorate the victory at the battle of San Jacinto. Join us as we celebrate Texas history! The Battle of Flowers appreciates the Boy Scouts of America, Alamo Area Council youth in helping carry the big United States flag each year within the parade. The Alamo Area Council is supporting The Battle of Flowers Parade this year with Scouts to hold and parade the “United States Flag” on Friday, April 26th during Fiesta week in San Antonio. We will be walking the U. S. Flag (20 x 50 feet) along the 2.6-mile route of San Antonio’s largest day parade. 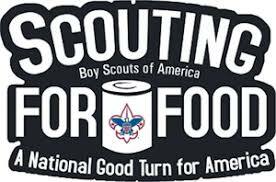 Must wear a complete Scout Uniform including Scout shorts or Scout long pants (i.e., no blue jeans or other pants). Scouts without the Official Scout uniform will not be allowed in the parade. Recommend that you wear sunblock and a Scout hat for sun protection. 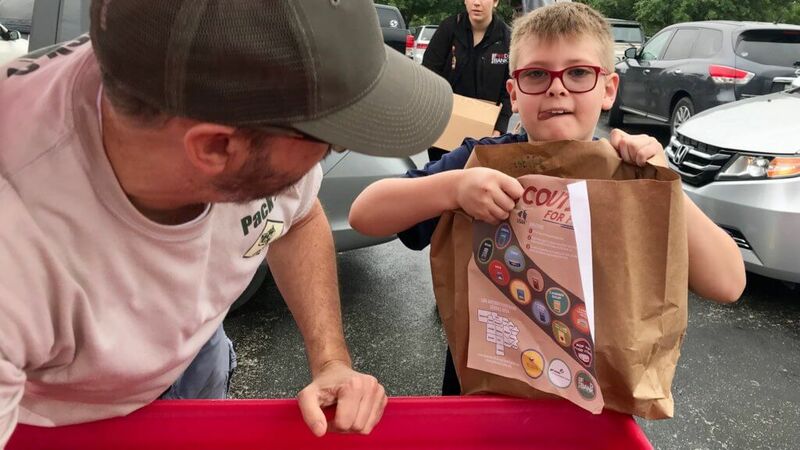 Parents or Scout Leaders will need to deliver and pickup their Scouts before and after the parade. Delivery time is 7:50 a.m., at the intersection of Broadway and Grayson Street.